Few authors can be as steeped in art – literally since birth – as Valeria Vescina, my first of today’s guest contributors. “My mother is an art historian and my father directed a gallery of twentieth-century art. Some of my earliest memories are of sitting down with books of old-master paintings,” she says. Whilst on her MA in Creative and Life Writing at Goldsmiths, Valeria realised she was instinctively bringing various forms of art into her writing. “So I asked myself: how and why do some great writers employ art and artefacts for narrative purposes? What can I learn from them? How can I harness arts’ full potential in my fiction?” She made this her specialist area of study for the literary criticism portion of the MA. She has since put her findings into practice in her own writing, and teaches the subject in workshops for various organisations. Unsurprisingly, art and artefacts are integral to Valeria’s debut novel, That Summer in Puglia (Eyewear Publishing). Launched at the FTWeekend Oxford Literary Festival in spring 2018, the book is set in London and in Puglia, where Valeria was born and brought up. 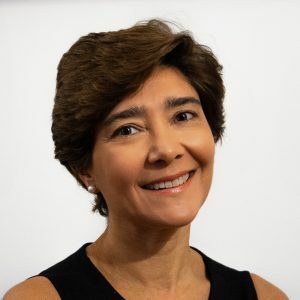 Educated in four countries, and writing in English, she now lives in London, where she works as an author, critic and teacher; she is a trustee of the Hampstead Arts Festival. A Dance to the Music of Time, Poussin’s painting at the Wallace Collection, becomes inextricably linked to Tommaso’s memories of his great love, Anna, and to his jumbled feelings about his own part in tragic events. But more poignant still are the emotions awoken in him by humbler artefacts: by fragile plaster casts of ancient coins and by a Roman pottery oil lamp which have accompanied him since childhood; the images in bas-relief reveal much about lost worlds, both ancient and personal. 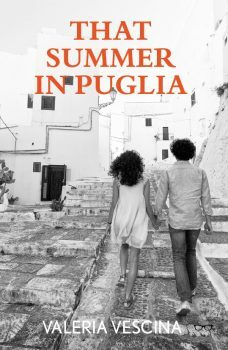 You can read more about That Summer in Puglia on Valeria’s website, which includes a section with links to reviews. The unhelpfulness in distinctions between ‘high’ and ‘low’ is a theme that Kate Rigby takes up in this piece on Art Snobbery. What constitutes art and who are ‘real’ artists are recurring themes in everyday life. Sometimes it is conceptual artists who profess to be at the cutting edge of the art world with prestigious awards like the Turner Prize. Equally though, this kind of art, when taken to extremes will have the critics emerging from the woodwork with polarised opinions. Take the famous pile of bricks at Tate Modern back in the mid 70s or Damien Hirst’s shark in formaldehyde or Tracey Emin’s unmade bed. What is one person’s art is another’s ‘lot of rubbish’, sometimes literally. So snobbery works both ways and the people who bash the less conventional and traditional forms of art, are also guilty of inverted snobbery. We see the same thing in fiction. Commercial fiction is the fiction that sells in higher quantities and will make or break a publisher. It operates within time-honoured genres that have successful formulas, strong plots, traditional styles and rigid word counts. Literary fiction, on the other hand, is freer of those constraints. Style, form, tense and points of view push the boundaries, quotation marks can be dispensed with, the characters are what drive the story, and there are far fewer rules. Literary fiction is the fine art of the book world and as in art the snobbery works both ways. The commercial fiction camp often sneer at the lack of rules or broken rules of the literary novel. The literary fiction camp, roll their eyes at the conformist and safe formula of the commercial novel, when in truth each can learn from the other! This is good, this. His sorta people talking art. Patrick’s looking dead interested, so he starts telling him how he always wanted to be a designer and about the art galleries in town that he used to go to when he sagged off school, when he wasn’t out on the rob. He can just hear it now, the squeaking of his pumps over them slippy, shiny floors. Floors with flecks in, like them headstones that you used to gerr’on the corner a Albion Road. Patrick looks dead impressed when he tells him all about art college and all the things he’s designed since. Like the album cover with the glam blonde toting a bright pink gun. Toys For The Girls. He wishes he’d bought a copy with him to show Patrick because Patrick was dead impressed with some a the photos he showed earlier, especially the one with him pointing a rifle at the camera, dead provocative, and the other of Ami, straddling the gun in her black hold-ups. They took those photies of each other, him and Ames, and you can tell Patrick is wowed by Ami with her blonde hair and brown eyes and curvy legs. Who in their right mind wouldn’t be? Designing’s his thing, he tells Patrick. He has designs in his head, he’s got designs for other albums too, though signwriting’s always been his bread and butter. He’s got this signwriting business in St Helier called Sign Of The Times, and before that he done a bitta signwriting in Bournemouth. 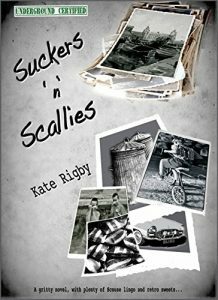 Kate describes her writing as gritty, edgy and retro. Visit her website to find out more. Jenny Harper lives in Edinburgh. 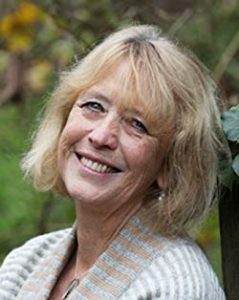 She is the author of four books about Scotland and Scottish culture, a history of childbirth, and The Sleeping Train for young readers. When she isn’t writing, she enjoys walking in the Scottish countryside or anywhere warm, and travel to Europe, America and India. Way back in 2012, I was idling through a Sunday colour supplement (as you do), when I was suddenly transfixed by a report on refugees fleeing the Blue Nile state for the border with South Sudan. The article featured an extraordinary series of images by photographer Shannon Jensen of hundred of shoes worn by those making that difficult journey. Mismatched flip flops, battered pumps, worn out sandals – what must those women have endured to reach safety? The images lingered in my mind, and returned a couple of years later as I was thinking about the novel that would become People We Love. My heroine, an artist called Lexie Gordon, has called a halt to her career as an artist in order to support her parents after the death of her brother in a car crash. Jamie had been drunk when he crashed into a tree – and Jamie never drank when he was driving. Haunted by the mystery of her brother’s death, and exhausted by the effort of consoling her parents, Lexie is herself vulnerable, but on the anniversary of her brother’s death, an elderly woman climbs through her kitchen window. Although she has dementia, it emerges, over time, that she once lived in Lexie’s family house – and that she’s desperate to get back to unearth her hidden cache. 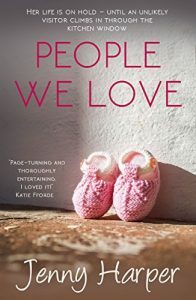 As Edith sits cradling the pink baby bootees she hid years ago, Lexie is fearful that she’ll break down with the grief of what had clearly been a deep personal loss of her own. But Edith isn’t sad. Instead, she beams happily. She has been reunited with her lost memories. Shoes tell stories, Lexie realises – stories of much-loved babies who can’t even walk; of the tottering steps of little children towards adulthood; of special events in our lives; of dances, and marriages, and mountain climbs and escapes. She asks Edith if she can draw the shoes, the local newspaper gets a hold of the story, and soon people from everywhere are sending her their shoes and their stories. For Lexie, it’s beginning of her own healing. Gradually, she starts to rediscover her passion for art, and plans an exhibition. When her mother suggests they clear out Jamie’s room and donates his rugby boots to the project, she begins to let go of her grief as well. As for Tom Gordon, Lexie’s father … well Tom’s a man, isn’t he? He has to stay strong for everyone, he can’t let his grief show. Until – well, let’s just remember the main theme of the story is about the redemptive power of art! Jenny Harper writes about strong women under pressure. To learn more about her writing, visit her website here. Great read, and like books images are a very personal taste aren’t they. 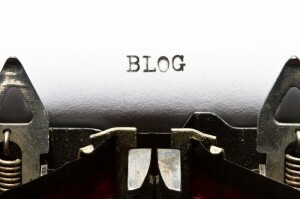 Thank you for including me among the contributors to this inspiring series, Jane!